I have added into the gallery the missing digital scans from Entertainment Weekly – March magazine. 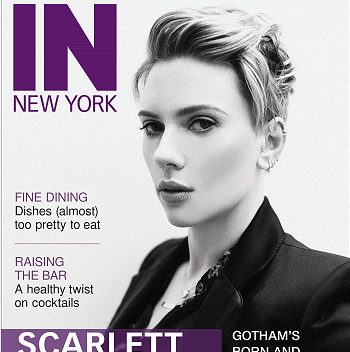 As well as giving us the new still Entertainment Weekly revealed 15 covers from it’s March magazine with all the cast of Avengers – Infinity War on them, And Scarlett has her own cover showing of one of her promo photos from the movie. As soon as I can I will add in the digital scans but till then go have a look at the cover. With just about two months to go till Avengers: Infinity War > hit’s theatres more info about the movie is hitting the net now and now thanks to Total Film we have the first official movie still of Scarlett as the new looking Black Widow with Okoye, Black Panther, Captain America, and Bucky Barnes in Wakanda about to go to war. The still is now up in the gallery and I hope more are to come soon. Scarlett made her first event for 2018 yesterday for the second annual Women’s March on LA at Pershing Square with some of the big names out there Natalie Portman, Sophia Bush, Olivia Wilde, Paris Jackson, Eva Longoria, Lupita Nyong’o and lot’s lot’s more. Again Scarlett took to the stage to give a speech on women’s rights, her own struggles in hollwood and to call out James Franco. HQ photos from the event are up in the gallery and you can watch Scarlett’s speech below. In addition to winning a Golden Globe two weeks ago, Franco, who wore a Time’s Up pin while claiming his prize, also garnered a lot of attention thanks to some comments on social media during the ceremony including some pointed, since-deleted tweets from actress Ally Sheedy. A few days later, the L.A. Times printed a report of five women accusing Franco of sexual misconduct. Franco denied the allegations. The actor has now been publicly addressed by Johansson, one of the original signers of the Time’s Up announcement letter and a major donor to the cause. Though she didn’t name him directly during her speech in downtown Los Angeles on Saturday, a rep for Johansson later confirmed to the L.A. Times that the actress was indeed referring directly to Franco when she said: “How could a person publicly stand by an organization that helps to provide support for victims of sexual assault while privately preying on people who have no power?” Pausing for effect, she then asked Franco for her pin back. Her comments start at the 1:25 mark. Johansson posed further questions on much-debated topics such as abuses of power and what some deem grey areas of consent before saying she felt a “rage” bubbling up inside her on behalf of women who have been abused and also, she admitted, on behalf of herself. For the last two years Scarlett has been doing the campaign for Lux Japan for there line of hair care products. And now three new commercials with Scarlet in have hit the web, The first is for a new hair care product but is the same footage as a previous commercial but that made what Scarlett has on white this time, and the other two are some on set commercial with Scarlett in them. Scarlett yet again made a surprise appearance on Saturday Night Live episode 11 with Kevin Hart as host. Again Scarlett reprises her role as Ivanka Trump for the segment White House Tree Trimming Cold Open and again was seen at the end of the show ice skating with the cast. At this time we only have HQ screen captures up in the gallery as no stills are out yet but I’m hoping tomorrow for some to hit the web. There was no way Saturday Night Live was going to close out its banner year without one more trip to the location that proved so easy to mock in 2017: Donald Trump’s White House. The opening sketch hung on the concept of Trump and his cohorts bidding a snarky farewell to the many political figures, like Sean Spicer, who didn’t last the year. Melissa McCarthy wasn’t on hand to kick around Spicer one last time, but S.N.L. did get an A-list star (in addition to Alec Baldwin) to give the sketch some added holiday value. Reprising her appearance from back in March, Scarlett Johansson swung by to roll out her Ivanka Trump impression one last time this year. The parade of impressions from the regular cast, however, easily highlighted the year’s M.V.P.s, as Mikey Day’s Donald Jr. and Alex Moffat’s Eric Trump handily stole the show with their dumb and dumber routine. But Omarosa wasn’t the only repeat appearance on the show. As the credits rolled and host Kevin Hart said his goodbyes alongside the rest of the cast on the ice rink at Rockefeller Center, Johansson and her newly-official partner, Colin Jost, could be seen grinning, holding hands, and skating off together. We can assume that Johansson’s guest role was at least in part a show of support for Jost on his first episode back as head writer of S.N.L. Scarlett made her first big public appearance since June last night for 2017 Museum Gala at American Museum of Natural History in New York, She was joint by Colin Jost inside the event only. Over 150 HQ photos from the night are up in the gallery for you all. At long long last the first Teaser Trailer for the upcoming Avengers: Infinity War is out. With Scarlett yet again playing Natasha Romanoff/Black Widow who now is blonde and on the run with team cap from the looks of it. Avengers: Infinity War is set to hit cinemas in April/May time depending were you live. Last night Scarlett was on the TV show Finding Your Roots 4×05 – Immigrant Nation were she found out about her mothers Jewish ancestors and what happen to some of them in the Holocaust. I have added captures from the show there not the best but it was all I could find at this time, If you live in the US you can watch the video on the official site Here and I hope to have a copy for you all the watch on this site soon. Johansson, whose father is Danish, is visibly moved as she pored over a document about the ship Saul took across the Atlantic Ocean. After reading this, Johansson begins to cry.